Minerals process plant design and hands on engineers for minerals process plant construction supervision is our specialty. We help meet process plant construction completion dates on time and within budget targets while reducing plant construction costs. At the same project we also improve a safe, sustainable, economic minerals processing operation. PPM Global’s process plant construction engineers are qualified and very experienced at on time, within budget, construction of minerals processing plants. These plants are sometime in remote and difficult environment, worldwide. The plant designers work with our construction engineers to build a safe, efficient, long lasting, low maintenance process plant. Our team of engineers also provide process plant construction training including problem solving for expat and nationals. After completion of a new minerals process plant construction, our company team of metallurgical engineers prepare for the next stage – process plant commissioning metallurgical test work. PPM provided plant construction assistance to a number of large, international mining companies worldwide. PPM Global, have been engaged all over the world for process plant construction supervision, from the outback of Australia to working in Minus 40 degrees some 200km above the Arctic Circle in Finland. PPM Global offers clients integrated solutions to the mineral process plant construction and ongoing metallurgical support of mineral processing operations. All met services are supported by a safe, practical approach to construction and plant management. Our team of metallurgical engineers has combined, the experience of over 200 years in the mineral processing industry. As a group of plant designers and plant construction engineers, we are able to draw on this diversified skill set to achieve successful outcomes in the construction of process plant projects. PPM Global engineers are able to bring a can do, professional approach to plant construction regardless if the project is a floatation process, CIL Gold/Silver, Zadra elution or Solvent extraction, electrowinning (SX-EW), to produce LME grade Copper cathode. PPM Global are able to construct mineral process projects, large or small in: Africa, Asia, Europe, South America, Australia, North America etc. For example, we have been engaged by First Quantum Minerals (FQM) on a number of their projects to assist with project work. We can supply a mineral process plant construction management team which includes: a process plant construction manager, process plant electrical engineers, process plant construction training manager, through to an experienced contract process plant operations manager. Prior to plant construction, develop detailed process plant designs. commence preparation work that will assist construction including the sourcing of construction materials and equipment. 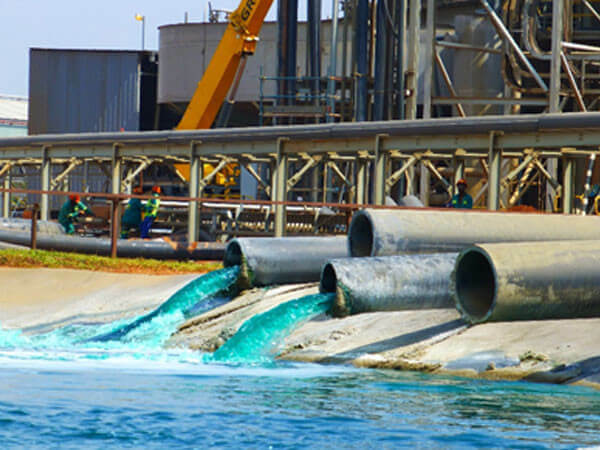 water test (hydrostatic test) all vessels, pumps, and lines in accordance with marked up process identifiers (PIDs) for each process plant section as it reaches mechanical completion stage.